Monday single-elimination brackets start at 8 am and various times throughout the day. Every attempt will be made to schedule the last Monday matches no later than 4 pm. Festival Format. All teams will play on all 3 days of the event. All teams are guaranteed 7 matches, unless they've elected to not play all days of the event. First two rounds are pool play, Monday is single-elimination bracket play. Every attempt is made to schedule matches no later than 4 pm on Monday. Everyone plays in the stadium at least one day (except for the u14 Invitational) and most will at least twice. We intend to have Day 1 playing schedules and locations available on AES by end of day Thursday, Feb. 14, 2019. Team Check In is in the AZSTA Grand Ballroom off the floor of State Farm Stadium. Late check in Saturday, Feb. 16: 7am-1pm (must be at least an hour before you play or ref) at the Stadium only. So if team is not playing in the Stadium on Day 1, Coaches will need enough time to check-in, get credentials to team members and travel to off-site playing location. Complete LATE CHECK-IN FORM to notify us is you will not check-in until Saturday. *AAU Team roster (generated from AAU website Club Director Account). Once checked in, you will receive a Team Bag with goodies and Team Credentials. A Club Director or Team Parent can perform the Team Check-In for one or more teams as long as they have all the proper documentation. The Festival Fiesta Classic is a licensed AAU event. All participating clubs, athletes and non-athlete adults on a team roster must be AAU members. Click HERE to acquire your Individual Coach or Athlete AAU Membership. The below instruction sheet will help Coaches or Club Directors navigate the membership process for the entire team or club. 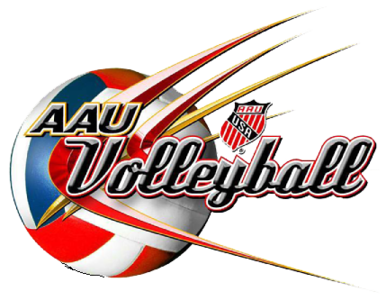 Your AAU Membership is good for all sports through August, 2019. Click below for info on other great AAU events. AAU membership questions should be directed to membership@aasports.org. Click HERE to request Practice Time for Friday, Feb. 15 at State Farm Stadium. Practice start times are available beginning at 5pm through 8:00pm and are for 45 minutes. Practice balls and carts can be requested on the form. Check in 15 min prior to your scheduled time at the Tournament Desk. A max of two Age Waivers are allowed per team. For more details or to submit an online Age Waiver Request. 17/18 Club: Born on or after September 1, 2000 or born on or after September 1, 1999 AND is a high school student (12th grade or below) during some part of the current academic year. Matches will be played on Sportcourts at the State Farm Stadium, home of the Arizona Cardinals, 6 wood courts at the Avondale American Sports Center, 6 wood courts at the Salvation Army Kroc Center, 8 Sportcourts at the Phoenix Convention Center and additional facilities as needed. All teams are guaranteed to play in the Stadium at least one day (except for the Festival u14 Invitational.